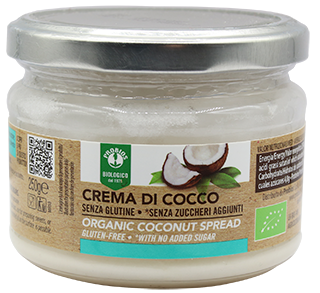 The spread, 100% coconut based and with no added sugars, is a tasty alternative to butter that you can also spread on bread and toast. Perfect to prepare cakes or recipes to cook in a pan or a wok. It's compact at room temperature, and becomes creamy over 30°C.